In automatically-collected information, Transylvania University may request that you voluntarily provide personally identifiable information to participate in password-protected areas, download information, join mailing lists, conduct payment transactions, or for other purposes. Transylvania University does not collect any PII through transy.edu unless you provide it. You may choose not to provide PII through the website. A cookie is a file that is written to your computer containing information about your visit. If you prefer not to receive cookies, you may configure your browser not to accept them at all, or to notify and require approval before accepting new cookies. Some web pages may not function properly if the cookies are turned off, or you may have to provide the same information each time you visit those pages. Refer to your browser's documentation for more information about changing your cookie handling settings. Information collected by Google Analytics is anonymized so we cannot associate the information with your IP address. This creates a 'do not track' cookie in your browser that will be read by Siteimprove Analytics software. If you delete this cookie, Siteimprove will resume tracking. Monitor technical performance of our network, server, and/or website. 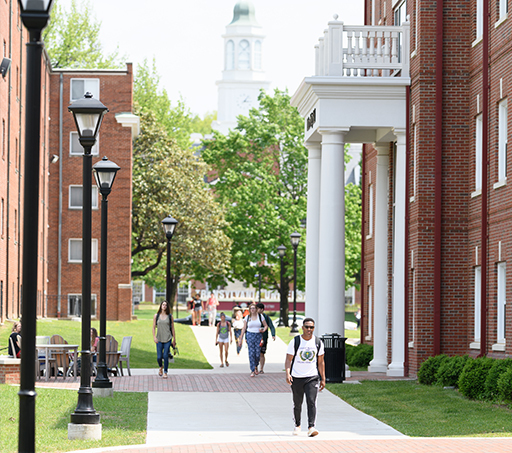 Transylvania university may use third party service providers and suppliers to facilitate transy.edu and the services the University provides. Authorized users are University employees or third parties who have been granted access and have a need to know the information collected in order to fulfill Transylvania University's mission. The University may disclose this collected information if required to do so by law. No information collected on this site will be sold, rented, disclosed or loaned. Your personal information will be managed responsibly and will only be used for official business. If you have questions about how your information is collected and used by this website, please contact webmaster@transy.edu.